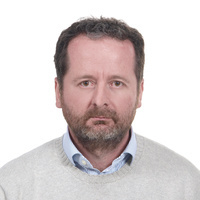 Short CV: Athanasios Liavas received his Diploma and PhD from the University of Patras, in 1989 and 1993, respectively. From 1993 to 1995 he served in the Greek Army. He spent the years 1996 to 1998 at the Institut National des Télécommunications, Evry, France, as a Marie Curie postdoctoral Fellow. From 1999 to 2001, he was a visiting Assistant Professor at the Department of Informatics, University of Ioannina. In 2001, he became an Assistant Professor at the Department of Mathematics, University of the Aegean. In 2004, he joined the Department of Electronic and Computer Engineering, Technical University of Crete, as Associate Professor. In September 2009, he became Professor. He served as Department Chair from September 2009 to August 2011 and as Vice Chair from September 2011 to August 2013. Dr. Liavas served as an Associate Editor for the IEEE Transactions on Signal Processing from 2005 to 2009. He was an elected member of the IEEE SP COM Technical Committee from 2006 to 2011.